A study of the armed forces used to make and prevent revolution in modern Europe. 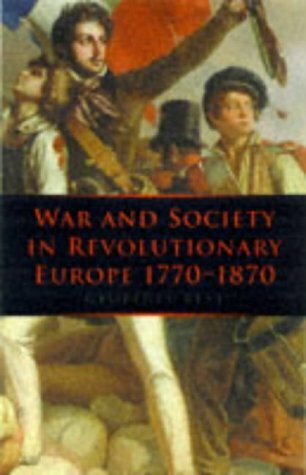 Beginning with the armed forces on the eve of the French Revolution, the author explains in detail about the societies of the Napoleonic age and gives an analysis of the revolutions and wars of the national liberation of 1848-66. Geoffrey Best is one of Britain's most distinguished historians. His many books include War and Law since 1945, Humanity in Warfare, and Mid-Victorian Britain. He has been a Visiting Fellow at Harvard and at the Woodrow Wilson Center in Washington D.C., and is currently a Senior Member of St.
Open Books is a nonprofit social venture that provides literacy experiences for thousands of readers each year through inspiring programs and creative capitalization of books. We are a 501(c)3 with all proceeds going to our literacy enrichment programs. All items subject to prior sale. Refunds and returns within 30 days of shipment with authorization. All orders ship within 2 business days. Most domestic orders shipped with USPS Bound Printed Matter with delivery confirmation, delivery within 2 weeks. Expedited orders ship via USPS Priority Mail. International Orders ship via USPS International Prioriry, delivery between 7-21 business days. Standard international shipping is expedited service.